You Already Have an Estate. Now Do You Have a Plan? When most people hear the term “estate planning” they usually think of the rich and famous. The truth is, no matter who you are, you have an estate. Your estate comprises everything you own. It can be as simple as naming the beneficiary of your IRA and personal property, or as complicated as having multiple trusts for children and charities. You probably want to determine who will benefit from your estate. When someone dies without an estate plan, his or her property passes to heirs by “intestate succession.” In other words, state law takes over and a will is made for you. One you might not like. A will contains your instructions, but it does not avoid probate. Probate primarily has two functions. 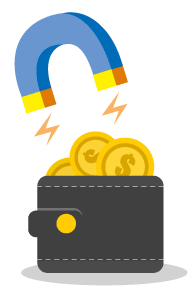 It pays off your debts and transfers assets to beneficiaries. 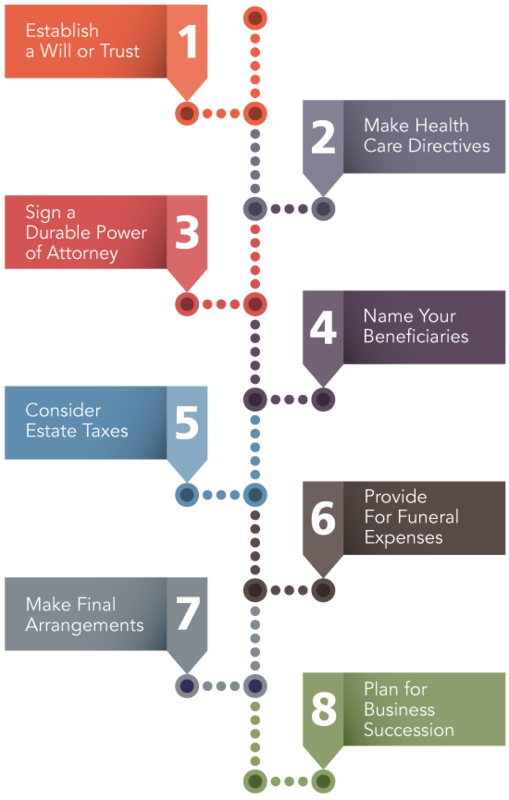 Since a will still involves probate many estate planning attorneys recommend a trust. Though a little more expensive, a trust takes the state out of the equation. Your assets are held in the trust and are distributed by a trustee of your choosing. These elements help determine how your assets will be distributed, what happens if you become incapacitated and who is responsible for seeing that your wishes are fulfilled. One of the many benefits of estate planning? It forces you to organize your records and update your beneficiaries. Births, deaths, marriages and divorce are reasons to regularly review your estate plan and beneficiary designations. Estate planning also helps avoid conflict within a family after you pass. It’s a sad fact that many families have been torn apart fighting over an estate. The first big step in the process is a conversation with family members. While this takes courage, it can help avoid surprises, lead to better financial planning and promote family harmony. Again, an estate plan isn’t just for the wealthy. If you have assets, no matter how modest, an estate plan makes sense. Contact us for help in starting the conversation. Are you buckled in? The equity markets are said to be heading for a correction. A stock market correction is defined when major market indexes decline at least 10%. Drops greater than 20% are considered to be bear markets. In the last 15 years, stocks have experienced multiple corrections and two bear markets*. Stock market volatility is a fact of life. Younger investors can afford to give some back because they have time to recover. For retirees it’s a different story entirely. Those of us at or nearing retirement can’t afford to lose 20% of our portfolios because of the shortened investment horizon. Think about it. Could you handle a 20% decrease in income? What about 40%-50% less like we saw in 2008? After saving all those years, once in retirement, your goal is to protect your assets and create a predictable, stable income stream. Of all the risks out of your control, such as health risk, inflation risk, interest rate risk and longevity risk, market risk is one you CAN control. You can choose to expose yourself to market risk or not. And there are alternatives that protect and grow your savings and produce income at the same time. When you invest in the stock market, you take on 100% of the risk. Did you know there is a way to totally eliminate market losses, achieve desirable growth and create an income stream you can depend on as long as you live? If we haven’t talked about it recently, please contact us so we can share the latest choices in the ever-advancing retirement solutions market. Then you can get back to getting a good night’s sleep.